Connect Express is an application for your iPhone® and other Apple devices that enables you to easily manage your wireless network through your wireless devices. 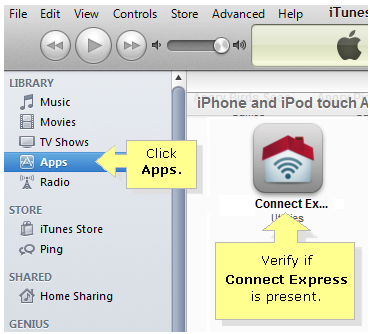 This article will show you how to download and install Connect Express on your iPhone®. NOTE: The following steps may also apply for an iPod® device. On your iPhone®, tap . Enter “Connect Express” in the search field and tap the shown result. To start the download, tap FREE > INSTALL. Enter your Apple ID Password to validate your login credentials and tap OK. NOTE: If you don't have an Apple ID, visit the Apple support site to register. Wait for the application to finish downloading. The Connect Express application should now be successfully installed on your device. 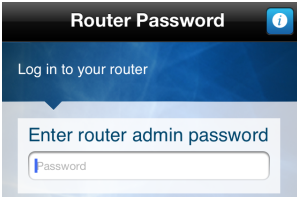 QUICK TIP: When you tap on the Express icon for the first time, it will ask you for your router’s admin password. Connect your iPhone® to your computer. Allow the iTunes® software to auto-launch. NOTE: If the iTunes® software does not automatically launch, you may double-click the iTunes® icon on your desktop. Click on iTunes Store on the left panel. 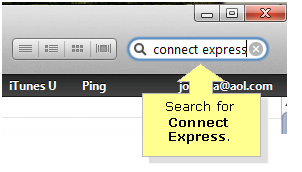 Enter “Connect Express” on the search field and press [Return]. 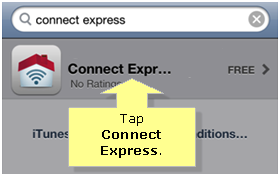 Click Free to download Connect Express. Click Apps under LIBRARY, and verify if the Connect Express icon is present. NOTE: If the Connect Express is already present in the Apps section, this means that the application has been successfully downloaded. Select your mobile device under DEVICES and click Sync. You may disconnect your device from the computer as soon as the iPhone® sync is complete.